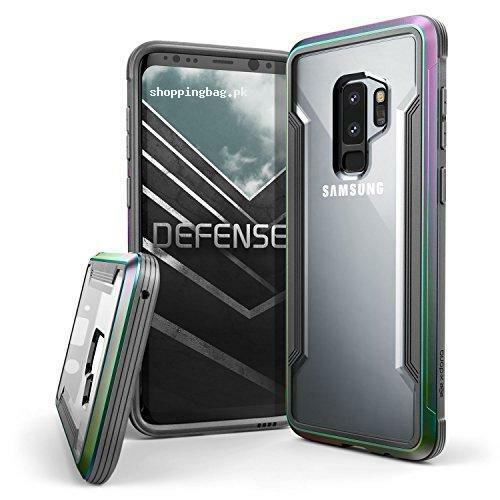 X-Doria Galaxy S9 Plus Case has the super protective aluminum frame and inner transparent rubber lining. The cover case is shock absorbent, lightweight and slim. It protects the Samsung Galaxy S9 Plus from sudden fall, abrasion and shocks. protects your Smartphone with best protective case, which can be bought from Amazon Pakistan. Compatible with Samsung Galaxy S9 Plus, Galaxy S9+. Not compatible with Galaxy S9!